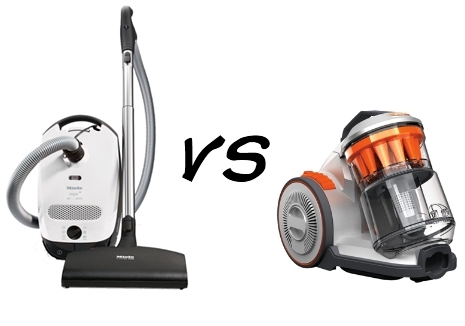 You’re going to have to bear with me on this one – Let me give you a background story: My mum likes vacuum cleaners with bags, a traditionalist if you will, whereas I prefer bagless vacuum cleaners. Of late we have been discussing our vacuum cleaners, a fascinating topic I’m sure you will agree, and this has torn a rift between us. I believe if I were to have a bagged cleaner I would make a dusty mess everywhere when emptying the bag in a vain attempt to reuse the bag, if I remember to empty the bag at all. My mum believes bagless vacuums get a build-up of grime over time and get less suction than their bagged counterparts. Anyway… I started wondering is there any real benefit to either approach, or is it just a matter of opinion. So let’s start with a history lesson… The first portable domestic vacuum cleaners came with cloth bags and were pioneered by Mr Hoover in 1908, the idea being that when the bag is full you don’t need to throw away the bag you simply empty it and wash it. This is much more like the modern day bagless cleaners rather than the disposable-bagged cleaners that perfectly illustrate our throwaway society. Bagless vacuum are by no means a new invention – remember the Kirby vacuum cleaner from the 80s? They were a nightmare! It was much easier to just have a disposable bag than spend your time washing the container and unclogging the filters. They tend to have more filters and finer filters which mean if you suffer from allergies this is the logical choice. They also tend to have greater suction to compensate for the additional filters. The obvious benefit is that if the vacuum lasts a reasonable length of time you will save money as you don’t have to keep buying bags. The less obvious benefit is you will not lose suction, theoretically, as the compartment fills up; this was illustrated by the Dyson advertising campaign with the slogan “not a sausage” a while ago. While on the subject of Dyson, just last week they announced a new vacuum that does not require a filter therefore meaning no loss of suction when filters get clogged and no need to clean filters at all. It works by using smaller cyclones working in oscillation to stop dust from building up within the cyclones themselves– at least that’s my understanding of it (check it out here). Carrying on, the reason I say ‘generally speaking’ is because in reality there really is very little difference. Personally, I like Vax bagless vacuums. They have a good length guarantee, aren’t too expensive to buy and mean I don’t have to faff around with changing bags. My mum likes Miele bagged vacuum cleans because the suction is amazing and removes dust from areas where there already appears to be no dust and, well, she just does. Can we bridge this rift and be friends again now mum?